How will social changes affect Germany’s built environment? What are the catalysts for transformation in the country’s cities and rural regions? Can factors influencing the future be identified and, once identified, be influenced? What are the architectural consequences of prospective urban developments? 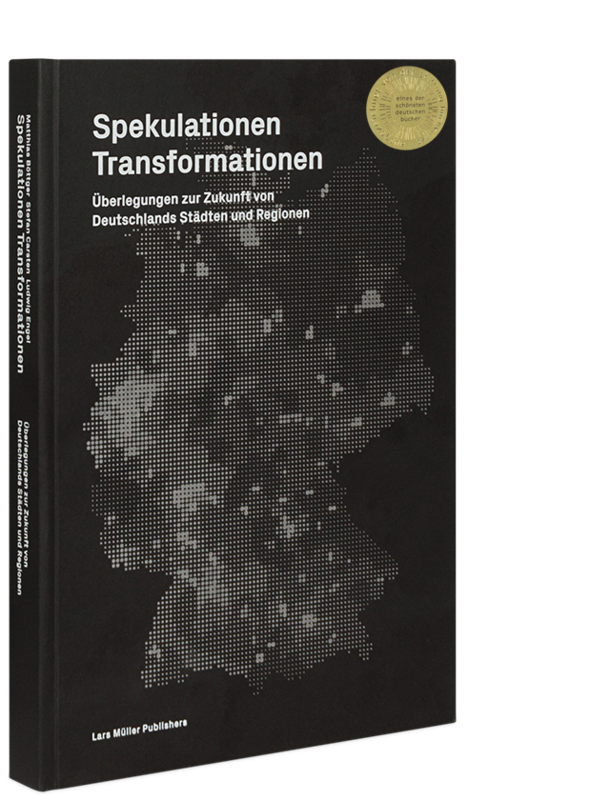 Speculations Transformations is devoted to the social and spatial changes that Germany will face in the future. Considerations and contributions by renowned researchers, professionals and thinkers such as Thomas Auer, Armen Avanessian, Stefan Bergheim and Matthjs Bouw map out potential future scenarios. Thought-provoking ideas, insightful interviews, data analyses and reflections are accompanied by maps, illustrations and photographs. Based on the examination of current challenges, the publication explores patterns of possible transformations, interdisciplinary interpretations and prospective opportunities – taking into consideration the perspective of time and space as well as the people living in and therefore shaping urban and rural regions. 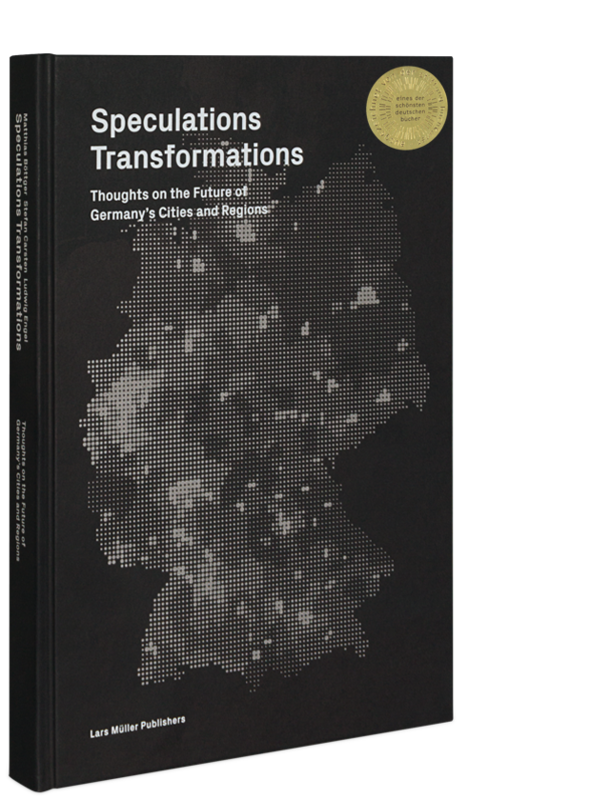 Speculations Transformations helps open up new directions in the design of German cities and landscapes. One of the winners of die schönsten deutschen bücher 2017 – most beautiful German books 2017! Edited by Matthias Böttger, Stefan Carsten, Ludwig Engel, on behalf of Deutsches Bundesministerium für Umwelt, Naturschutz, Bau und Reaktorsicherheit (BMUB) and Deutsches Bundesinstitut für Bau-, Stadt- und Raumforschung (BBSR).